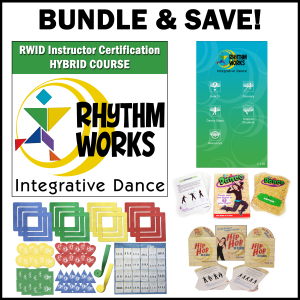 INCLUDED: The 377-page Instructor Manual, access to ongoing support andThe Rhythm Works Society, supporting program music, and a listing on our website as a Certified RWID Instructor with a direct link to your company. Should you need to cancel your registration, cancellation requests must be done via email to admin@rhythmworksid.com and refunds will be determined by date stamp of email. Refunds are available minus the following Cancellation Fees: $30 if cancelled before 60 days prior to the 1st day of the workshop, $75 if cancelled between 31-60 days prior to the 1st day of the workshop, $200 if cancelled between 15-30 days prior to the 1st day of the workshop. 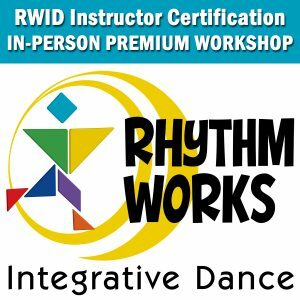 For in-person courses, a minimum of 70% must be scored on the written exam in order to pass and become a Rhythm Works Integrative Dance Certified Instructor. 18.5 hours will be awarded upon completion of the in-person course.